Lucio Del Piccolo was born on 15th February 1969 in Trieste, the so-called “city of coffee” where the consumption of coffee is double the Italian national average. With a diploma in thermo-technology, he works as shift foreman in a new generation thermoelectric plant. Lucio has held a range of trade union managerial positions over the years and is currently working in training and professional development. 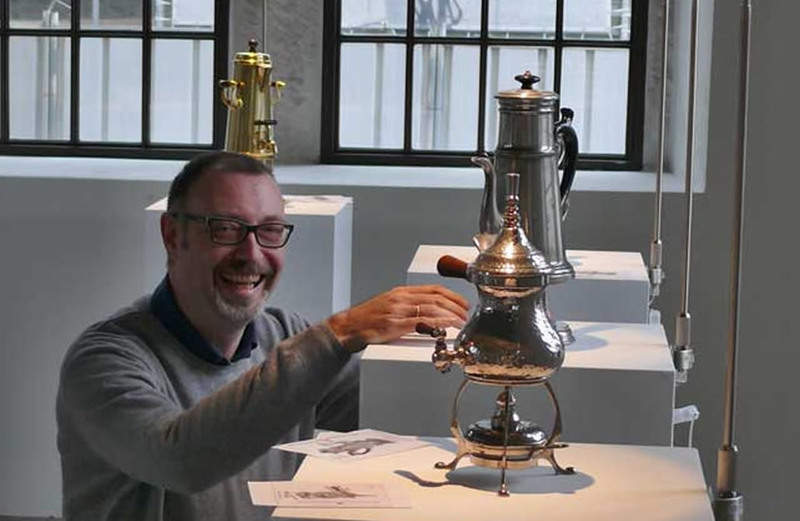 He started collecting in 2001, almost by chance, when he bought a rare model of a coffee maker at an antiques market. His curiosity in the coffee industry triggered by this episode led him to set up a blog in 2008 to share his news, information and experiences with other coffee enthusiasts. In three years, his blog already had over 50,000 followers. He has built up special relations with a number of important world collectors. Lucio devotes his time to searching for the rarest models and has made in-depth studies of patents and manufacturing techniques, materials and the relevant systems.